Does JetBlue Know Something About Cuba That We Don’t? Barely a month after JetBlue and American Airlines scaled back on the number of seats and flights to Cuba, while Frontier, Spirit and Silver completely cut service to the island nation—all reactions to a gross overestimation of demand for travel—the New York-based airline now wants to increase service to Havana. "In light of Spirit and Frontier terminating service to Havana, Cuba, on May 31, 2017, and June 4, 2017, respectively, JetBlue hereby applies for seven weekly frequencies in order to provide additional non-stop service between Fort Lauderdale, Florida and Havana, Cuba, and to inaugurate the first ever non-stop service between Boston, Massachusetts and Havana, Cuba.,” the airline said in its application to the DOT. 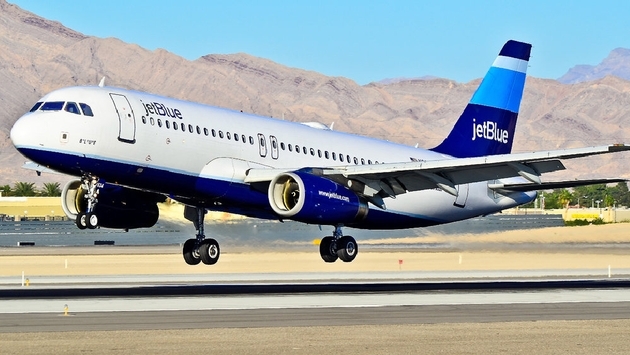 JetBlue currently provides daily non-stop service from New York to Havana, as well as from Orlando to Havana, and 13 times weekly service from Fort Lauderdale to Havana. The Long Island-based carrier has requested six weekly frequencies in order to increase its service levels on that route, as well as beginning the first-ever non-stop service between Boston and Havana with weekly Saturday service. Still, it’s a curious move given the current climate for demand to the island. Those are the words of John Kavulich, President of the U.S.-Cuba Trade and Economic Council, Inc.
Kavulich obviously has a vested interest in how the trend will swing when it comes to Cuban travel, and he noted that the three largest United States cruise lines have substantially increased the number of itineraries that include island stops for 2017 and 2018—at capacity transporting more than 185,000 passengers on more than 100 sailings. The cruise lines did not require additional authorizations to do so. So, what’s next for JetBlue? American and Delta have joined JetBlue in applying for the right to increase service to Havana. On Monday, American became the third carrier in four days to ask the Department of Transportation to award it some of the 21 weekly U.S.-Havana frequencies that Spirit and Frontier will surrender in the late spring. The move followed the submission of a similar application by Delta last Friday. Spirit plans to drop its twice-daily Fort Lauderdale-Havana flights on May 31, while Frontier will cease its daily Miami-Havana service on June 4. The end of those services will open new Havana availabilities under the 2016 U.S-Cuba aviation agreement, which allows for a maximum of 20 flights daily from the U.S. to Havana. American requested permission to operate a fifth daily Miami-Havana flight beginning no later than Oct. 5 while Delta hopes to begin flying a second daily Miami-Havana operation no later than Dec. 15. Both applications came on the heels of an April 20 application by JetBlue to increase from 13 to 19 its total flights per week from Fort Lauderdale to Havana. JetBlue has also asked for approval to begin a weekly Boston-Havana service. Efforts by American, Delta and JetBlue to obtain more Havana frequencies go against the trend that materialized in the six months after commercial service between the U.S. and Cuba resumed late last year. Spirit, Frontier and the Florida regional carrier Silver have all pulled out of Cuba, citing overcapacity, high operating costs and lack of demand. American and JetBlue have downsized aircraft on some Cuba flights. Delta painted a happier picture on Miami-Havana routes in its April 21 application. "As the Cuba market has developed, load factors have improved on DL's existing flights to [Havana], with [Miami] having the strongest performance," the carrier said. The primary obstacle to large scale travel from the US to Cuba are US legal restrictions that permit only "purposeful travel", the codified twelve categories. When Congress ends travel restrictions, holiday vacations will become possible for Americans in the well developed resorts that serve nearly three million European and Canadian tourists. The airlines won't have any problem filling seats. It would be nice to hear that one of the airlines is seeking a slot to serve Santiago, Cuba's second largest city. It offers unique historical attractions: the monument to the Rough Riders, the Maceo Memorial, the Moncada Barracks with a good museum, the tombs of Jose Marti and Fidel Castro. Frontier never began its proposed service from Chicago to Santiago with a stop in Florida. Silver's cancellation ended the only flight from the US. The closest airport is in Holguin with daily service by American Airlines. If the airline also flew on to Havana, returned to Santiago, then went back to the US, it would address a great need for domestic air service and generate additional business from Americans who find it very hard to visit both ends of the country. to the island is projected to reach jump to the millions. creation in airline, cruise, lodging, telecom and travel services industries, amongst others. The presence of U.S.
travelers and companies provides much-needed economic and cultural connections at a critical moment in Cuba. and Cuban-Americans favor lifting all restrictions on their right to travel to Cuba. American travelers have been directly engaging with Cubans during this important moment of reform. conduct a survey of recent American travelers to the island about their activities and experiences on the island. o 99% of the travelers ate at a privately-owned restaurant (paladar). o 86% of the travelers bought art, crafts, or music from an independent artist. o 85% of the travelers hired a privately-owned taxi. o 74% of the travelers engaged in discussions with Cuban entrepreneurs. average Cubans about free market economics at a moment of economic reform. economic reform, technology and religious freedom. o 85% of travelers got into the home of a Cuban individual or family. o 84% of travelers spoke with a Cuban about U.S. culture and American society. o 70% of travelers spoke with a Cuban about internet and technology. o 42% of travelers spoke with a Cuban about religion and/or religious freedom. economics, internet, technology and other key issues at a critical moment of transition on the island. U.S.
regarding U.S. travel to Cuba. Two months after the Trump administration announced a total review of U.S. policy toward Cuba, several controversial proposals are being circulated at the White House with no clear front-runner on the issue. But Sen. Marco Rubio says he has spoken with Trump three times about Cuba. “We’ve been walking through all these issues with the president and his team, figuring out the right steps to take and when,” Rubio told el Nuevo Herald. “I am confident that President Trump will treat Cuba like the dictatorship it is and that our policy going forward will reflect the fact that it is not in the national interest of the United States for us to be doing business with the Cuban military,” he added. The Miami Republican of Cuban descent declined to say whether the president had made any commitments to him on Cuba policies. But a Rubio spokesman told el Nuevo Herald that the senator and his staff “have been working behind the scenes” on Cuba policy. The Cuban government has taken notice of Rubio's rising voice in U.S. policy toward Latin America, and the state-run Granma newspaper recently criticized his efforts to have the Organization of American States condemn Venezuela's human rights record. But the Granma article carefully avoided insulting Trump. And the Raúl Castro government, in a rare show of restraint, has said little about the Trump administration as it waits for the ongoing review of overall U.S. policies toward the island. Spokespersons for the White House and the State Department have said that the National Security Council (NSC) has the lead in the multi-agency review. Several knowledgeable sources have said that Jill St. John, a low-level NSC staffer, is coordinating the work. The White House did not immediately reply to el Nuevo Herald questions about St. John. The review requires an initial examination of current policy and regulations. But whoever is gathering that information “has no directions on what to do about that,” said one source who favors improved relations with Havana. But “treating Cuba as a dictatorship” does not necessarily entail reversing all of President Barack Obama's measure to improve bilateral relations. Rubio said he favored tougher policies toward Cuba, a strategy favored by some dissidents on the island. But he did not reply directly to a question on whether he favors a total rollback of the new regulations, as proposed in a memorandum making the rounds on Capitol Hill and the White House that is believed to have been crafted by staff members for Florida Republican Rep. Mario Diaz-Balart. The memo proposes imposing new sanctions within 90 days unless Cuba meets a string of requirements contained in the Helms-Burton law and takes action toward the return of U.S. fugitives and compensation for confiscated U.S. properties. However, the memo is just one of many proposing different policies, according to several sources. A White House official said in a statement of the Diaz-Balart memo: “This appears to be an unofficial DRAFT memo which is not consistent with current formatting and may be a Transition document. “Cuba must be treated for what it is and not, as the Obama administration did, what it wished Cuba were. Cuba remains a Communist, totalitarian police state that allies itself with American adversaries and enemies, including state sponsors of terror and terrorist organizations,” said attorney Jason Poblete of the Washington-based PobleteTamargo LLP. His wife Yleem Poblete was appointed to the Trump transition team. Other proposals floating around Washington would reverse only parts of the Obama changes, because doing more would disrupt the market and risk lawsuits from U.S. companies that have already signed deals with Cuba. The recommendations in the presumed Diaz-Balart memo would cost U.S. tourism and service companies about $2 billion during the remaining years of the Trump administration, said John Kavulich, president of the U.S.-Cuba Trade and Economic Council. Turning back the clock even further, to the tight restrictions on travel and remittances imposed by former President George W. Bush — a possibility that had frightened many people — seems even less likely now. Several sources who requested anonymity in order to speak frankly on the issue said that among the proposals submitted to the Trump administration is one that would eliminate the self-guided trips to Cuba under the so-called “people to people” travel category, described as “tourism on steroids” or a thinly-veiled way to sidestep the U.S. ban on Cuba tourism. Another would impose targeted sanctions on Cuban military or Interior Ministry officials. And a third would deny further licenses to U.S. companies that do business with enterprises run by the Cuban military, which controls at least an estimated 60 percent of the island's economy. “They are 100 percent looking into this,” said one source close to the business sector with ties to Cuba. One pro-engagement source said that the proposal to deny licenses — perhaps the most detrimental for Cuba — would be difficult to implement. “How's OFAC going to determine which companies are connected to the Cuban military?,” said the source. He also cautioned that such harsh measures could strengthen the most conservative sectors within Cuba, at a time when the Venezuelan crisis is growing worse and Castro's deadline for retiring from power in 2018 is approaching. Rubio's statements, nevertheless, hint that Trump policies may target the Cuban military. House Speaker Paul Ryan last year also proposed banning U.S. companies from doing business with Cuba military enterprises. At the same time, groups that support improving relations with Cuba have not stopped their lobbying efforts, and continue “strategizing about how to influence the Trump administration, although the window of opportunity is closing,” said Ted Piccone, a senior fellow at Brookings Institution who specializes in U.S.-Cuba relations. U.S. companies doing business with Cuba also have been sending messages to the Trump administration in support of a pro-business agenda. “With the new administration’s desire to grow our economy, we are hopeful that both governments will continue the momentum to work to open the door for commerce to flourish between our two countries,” said Vanessa Picariello, Norwegian Cruise senior director of public relations. Letters in support of the current pro-engagement policy have been sent to the Trump administration by the U.S. Chamber of Commerce, Catholic Church leaders, the American Farm Bureau, Cuban-American organizations like the Cuba Study Group and members of Congress like Minnesota Republican Rep. Tom Emmer, who has submitted a bill to lift the U.S. trade embargo on Cuba. Piccone said that on balance the pro-engagement camp feels “positive, although realistic that certain promises were made to senators like Rubio. Miami Herald reporter Patricia Mazzei contributed to this report. Sen Rubio and others in Washington who want President Trump to “treat Cuba like a dictatorship” don't seem to have noticed how acceptable dictatorships are to this Administration. Cuba's treatment of dissidents and centralized one party control are minor league compared to Egypt and China. The number and variety of US visitors to Cuba is steadily increasing. The commercial airlines brought 3 times the number of seats previously provided by charters in order to position themselves for the long term market. No surprise that they are adjusting their service to the actual current market. The Trump Administration is most likely to leave travel largely untouched while laying the groundwork for a broader mutual opening. Ending self-guided travel would be completely counterproductive. 1) Independent travelers are the fastest growing sector of Americans visiting Cuba. They are vitally important for US airlines to fill their capacity. 2) This is because independent travel can be undertaken at a far more reasonable cost than group tours, making it available for a greater diversity of Americans. Most group tours charge more than $3,000 for a week. Individuals can spend as little as $1,000. 3) Two or three generation families can now travel to Cuba. In addition to cost factors, bringing children is not very welcome in group tours. Children have a multiplier effect on creating trust and friendships. 4) Cuba is now accessible to American students and other back-packers, just as it has been for years to their Canadian and European counterparts. They naturally are inclined to interact informally and socially with their Cuban peers. 5) Group tours are carefully programmed and monitored by Cuban State companies. Like any officially sponsored program in any country (including ours), itineraries are designed to convey a desired picture of the country. They do offer a valuable and convenient window for their participants to a little known society but it is largely pre-determined. 6) Self-directed individuals follow a personalized and spontaneous program inherently more integrated with the grass roots of Cuban society. 7) Expenditures by independent travelers disproportionately benefit individual Cubans and support the emerging private sector of bed and breakfasts, private restaurants, drivers and gray market guides. I have worked with tour groups to Cuba for twenty years, most of that time under cumbersome, bureaucratic, politicized and arbitrary OFAC licensing. Our priority now is to promote independent travel for its benefit to both countries. The situation today is far superior for group and independent travelers and it would be very sad and counter-intuitive if the Trump Administration moved our country backwards, infringing again on the rights of our own people to satisfy the vengeful illusions of a small self-interested minority. Will US Policy be Changed in April?